Just in time for TIFF! 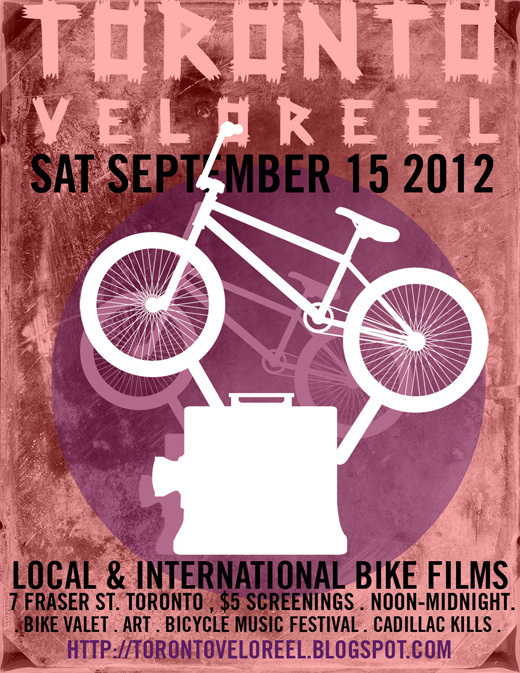 Toronto VeloReel, is a one day film festival cultivating community & celebrating bike culture through film. The festival debuts September 15th. To kick off the days events, there will be a peepshow film loop which includes the feature length films; Hit em in the Mouth, a Seattle Bike polo documentary, Cycle Me Home, the tale of Levi and his bike ride home to Budapest after studying abroad in Madrid, and I Felt Your Pulse, a Super 8 film dedicated to Darcy Allan Sheppard. While hanging out in the courtyard, be sure not to miss the various bike art installations, a short play entitled “Cadillac Kills” and a drop in from the Bicycle Music Festival with musical performances by the Complete Street Band and Garbageface in the afternoon. 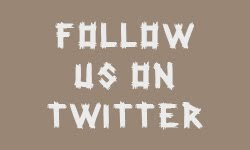 SEE A FULL PROGRAM AND LISTING OF THE DAY'S EVENTS HERE! This year's program is guest curated by The Deadly Nightshades, Toronto's only all girl bike gang/arts collective. Their selections for this year’s Toronto Velo Reel will include a snapshot of various histories, communities and viewpoints from all over the world, all pertaining to their one love, the bicycle. VeloReel is in it's first year, but it intends to become an annual event, and a staple for the cycling community in Toronto. Please join us, on September 15th!